This post on the Incredible Health Benefits of Turmeric (Curcumin) is sponsored by iHerb, but I only recommend products and services that I have personally tried and believe are of value to my readers. All opinions in this post are my own. There are many incredible health benefits of turmeric that have been studied extensively. Researchers and are continuing to conduct trials on even more ways that curcumin can help people. But if you are familiar with traditional modes of holistic healing, you probably know that ayurvedic practitioners in India have been using turmeric therapeutically for thousands of years. You may have heard about all of the health benefits of turmeric, but what is the best way to take advantage of those benefits? What Gives Turmeric Its Therapeutic Power? Curcumin! Although you hear a lot about the health benefits of turmeric, the compound that actually gives turmeric it’s therapeutic abilities is curcumin. Turmeric is undoubtedly a healthy spice to add to food, but it only contains about 3% curcumin. 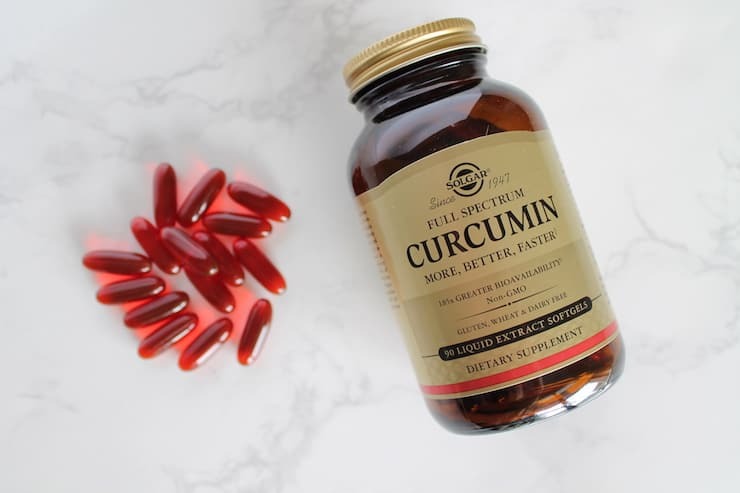 To really get the most benefit out of this amazing compound it is best to obtain a concentrated curcumin extract like Solgar Full Spectrum Curcumin. To get even more benefit you can take this supplement with a meal where you’re using black pepper or you can even swallow a few peppercorns with it since black pepper has been shown to increase absorption of curcumin. Chronic inflammation is thought to be one of the major factors in causing a whole host of health problems in the body. Of course it contributes to everyday aches and pains, but it may also be a precursor for other heart, metabolic or other degenerative issues. This is why keeping inflammation low is of vital importance for overall health and disease prevention. Lowering stress and having a healthy diet and lifestyle help to keep inflammation down, but sometimes that’s not enough. That’s why curcumin is such an amazing tool for our modern stress-filled world. 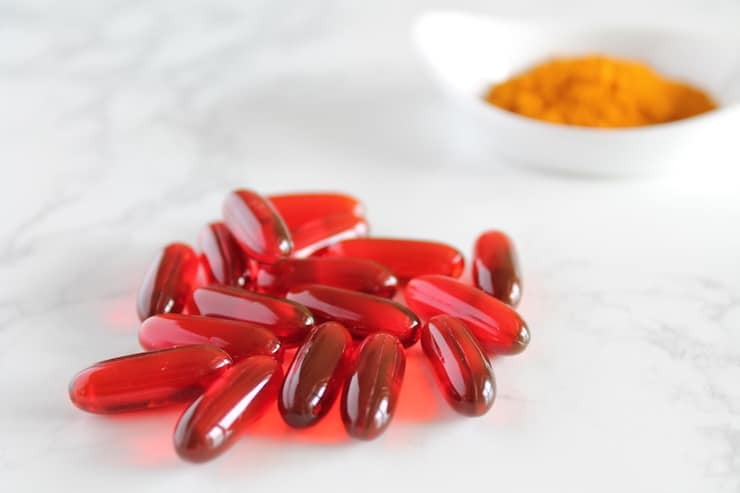 A number of studies have shown that curcumin is a powerful aid that works at the molecular level when it comes to maintaining lowered inflammation in the body. And the best part is that when it comes side-effects, curcumin has slim to none. However, you do want to consult your doctor before starting up with curcumin if you are on medications. Since it can be powerful in its effectiveness, it can also interact with certain medications. Getting lots of antioxidants is a wonderful way to ensure overall health. Free radicals in the body can lead to heart and immune issues and Antioxidants are the substances that combat those free radicals. Antioxidants help to usher blood flow to the brain and body while also supporting detoxification. Due to it’s natural makeup, Curcumin is a potent antioxidant that can also help to activate the body’s existing antioxidant systems. Having emotional ups and downs can be trying for anyone. Not only does is feel lousy, but it can also interfere with how well you perform at your job, your relationships and more. Supporting emotional health can come in many forms, but more research is coming out in favor of curcumin as a significant player when it comes to mental health support. Turmeric (curcumin) may have the ability to affect neurotransmitter function in the brain which affects mood and emotions. There have been several studies done on animals that reveal amazing mood improvements with curcumin. 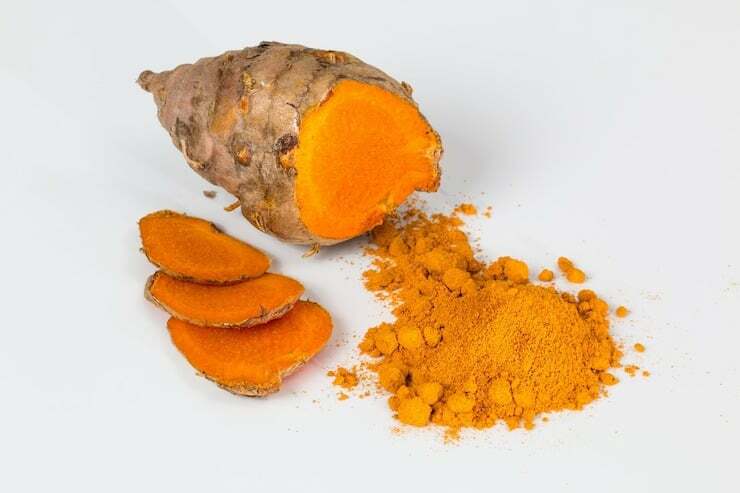 However, more recently a few promising studies including a randomized controlled trial on human subjects showed that curcumin truly is effective in supporting mental health. Because of curcumin’s antioxidant and anti-inflammatory properties, this naturally makes it a great support for skin health. Many people report better complexion when taking curcumin. There are also a number of studies that show that curcumin may also help some dermatological conditions such as acne or psoriasis. Another study showed that curcumin can even help speed up wound healing. You use it topically, like with a turmeric face mask. But if you take a more concentrated curcumin supplement you are likely to get other health benefits as well! When inflammation starts to affect the joints, it can result in very unpleasant issues especially in the hands and feet. Maintaining healthy joints and bones is a sure way to prevent worse problems down the road. 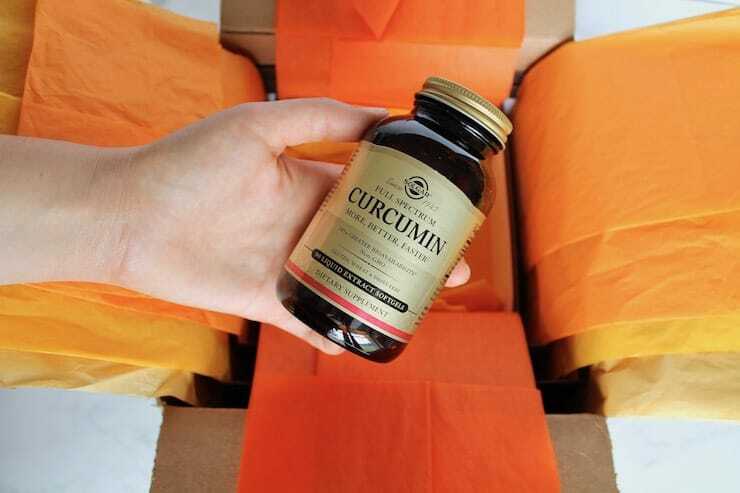 Curcumin supplementation can help to support healthy joints and keep your hands, knees and feet moving smoothly. Since curcumin is great at keeping down inflammation, it may also help to keep joints from becoming inflamed. If you are looking to reap the health benefits of turmeric, it’s best to consider a curcumin supplement. 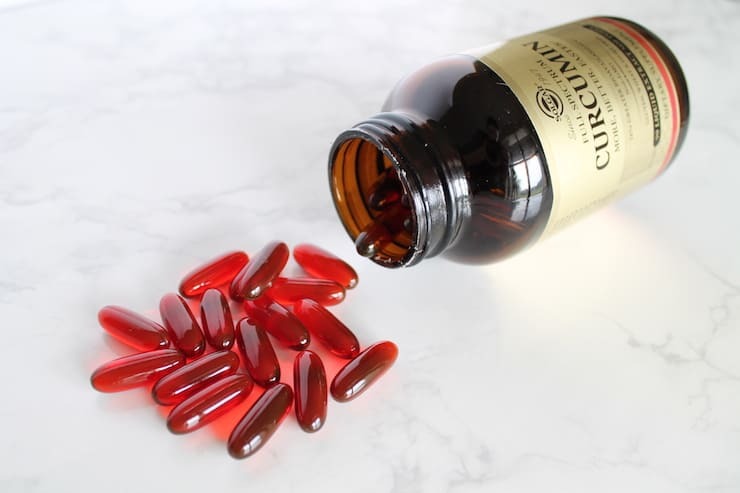 Since curcumin is the main compound in turmeric that gives it its therapeutic power and turmeric powder only contains about 3% curcumin, it’s a better bet to use concentrated curcumin to really get the effects. Solgar Full Spectrum Curcumin is a great choice for curcumin supplementation. Solgar has transformed curcumin from fat-soluble to a water-soluble phytonutrient, which makes it more easily and quickly absorbed by the body. In addition, it is non-GMO, gluten-free, dairy-free and wheat-free. Start by taking 1 soft gel per day with a meal. 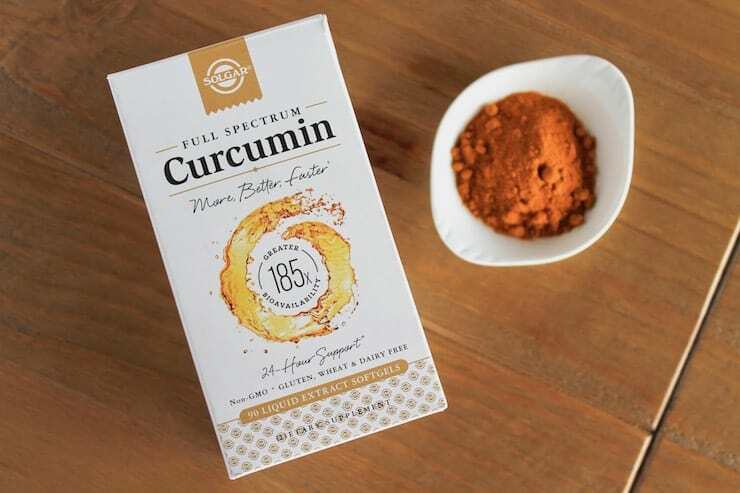 Get A Discount On Your iHerb Order of Curcumin! I often get my natural health supplies from iHerb. They have a huge selection of quality vitamins, herbs and supplements as well as cooking, health and nutrition supplies. Solgar’s bio-available curcumin supplement is available on iHerb and new customers can get a discount! I’ve read so much about Turmeric and how good it is for you, but thank you for going into such detail about the benefits of it! Yes, curcumin especially has so many great qualities! Glad it was helpful! I take this and it helps me so much! I have an auto immune disease and I have to deal with the inflammation every day. The turmeric helps reduce the swelling and inflammation and the pain in my joints. This was so informative! I’ve always heard about the benefits of tumeric and use it quite regularly in my cooking, but now I know why. Also, nice to know there are supplement options available. I used turmeric in quite a few recipes. Love reading it’s benefits. This is honestly the first time I’ve heard about these health benefits. Thank you for the information and I’m looking forward to incorporating some curcumin into my diet. What a great post. Who knew Turmeric was so versatile. I have definitely gained some new health benefiting ideas from your post. Great job. After I learned the benefits of turmeric I add it to mostly all of my cooking, a big hit in my house is yellow rice. Its gives it a great flavor as well. I have heard so many great things about turmeric over the course of my life but never really understood what it did. Thanks so mcuh for sharing this very important knowledge regarding the herb. Now that I am older, I can certainly see what all the rave is about considering all that it does for the body. I had no idea you could get this in a supplement. I’m running to the store to get some tumeric! I had no idea all the health benefits that you can gain from taking it. Can’t wait to see the results! At the first glance, I thought the Turmeric does look like sweet potato. I did not know Turmeric can have so many good benefits for us. I know a lot of the South East Asian cuisine are using Turmeric in their cuisine. I thought it was only used because of it colors, didn’t know it is such a hidden gem. I’ve heard so much about Turmeric and its health benefits and I think people should consider taking it more. As tea, as a supplement, or whatever way is easier for you.